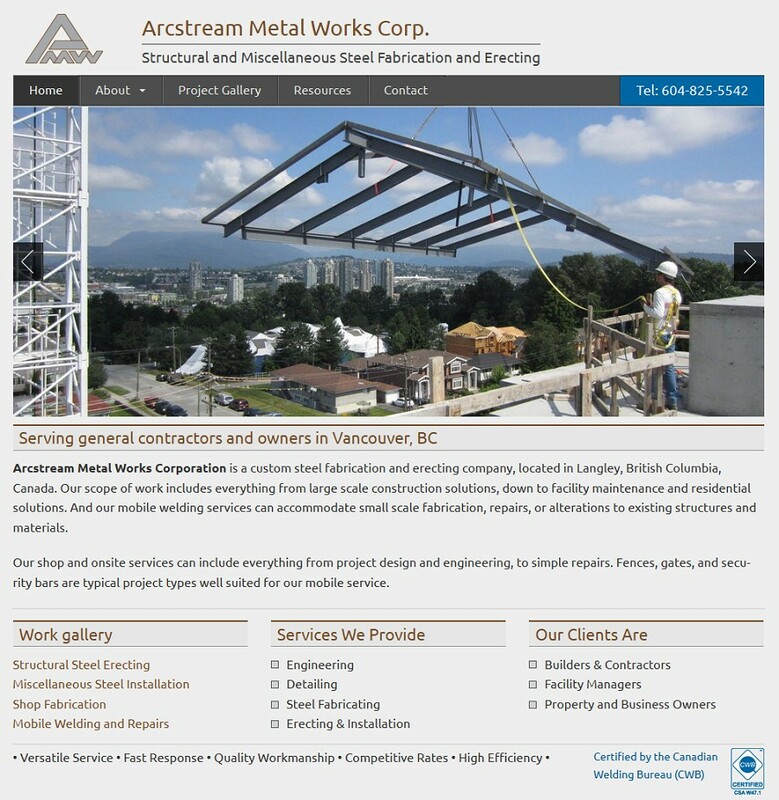 Arcstream Metal Works Corp. is a Langley based steel fabrication and erecting company and welding shop. The company provides welding, mobile welding, and steel fabrication and erecting construction services. The website was built with Hybrid core and always comes up on the first page in the search engines for relevant keywords.